Psychologies, the leading magazine for intelligent people, provides their inspirational yet rigorous approach to the perennial topic of focus, to include topics of mindfulness, clarity and productivity. However, we also suspect that you know in your heart of hearts, that life's not supposed to feel like this. You're not supposed to feel like you're in a hamster wheel that you can't get off; that life is a ‘whirlwind' or ‘one never-ending To Do list.' You know there has to be another way - but what is it? 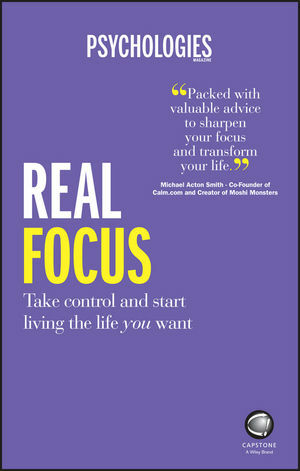 Well here it is: Real Focus. Psychologies Magazine (Kent, UK, https://psychologies.co.uk/work) is the leading magazine (print and digital) for intelligent people, covering work, personal development and lifestyle issues and striving to help its readers learn about and understand themselves and the world around them.